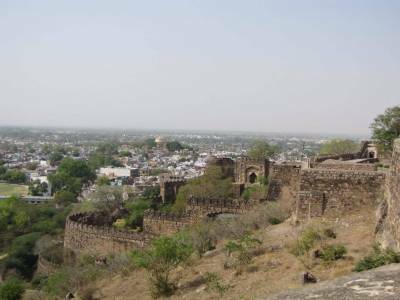 Jhansi Fort also known as Jhansi ka Kila is a fortress built by Raja Bir Singh Deo in the year 1613 located on the Bangira hilltop in the state of Uttar Pradesh, India which acted as a citadel for the Chandela Kings throughout the 17th century. With the nearest airport in Gwalior which is at a distance of 103 km from Jhansi the fort can also be reached easily if one gets down at the National Museum Bus Stop. The fort clearly displays and reveals how the north Indian style of fortification varies from the south. The thickness of the fort is between 16 and 20 feet thick and the fort are made of granite walls. The south of the face is virtually perpendicular. 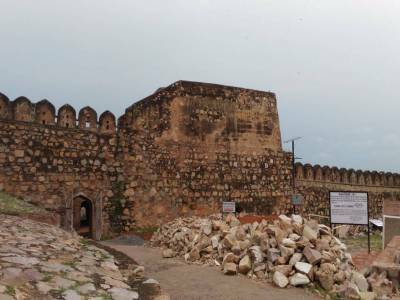 There are as many as 10 gates through which the fort can be accessed namely Datia Darwaza, Jharna Gate, Sagar Gate, Chand Gate, Khanderao Gate, etc. 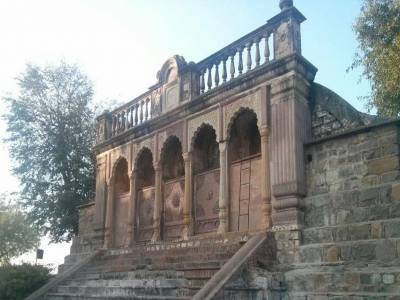 Some of the most remarkable and mention worthy sights in the fort are the Ganesh temple at the very entrance of the fort, Shiva temple and Kadak Bijli cannon which was used in the Great Revolt i.e. the Sepoy Mutiny of 1857. The memorial board stands to remind one of the great heroic feats of Rani Lakshmibai jumping on the horseback from the fort. Rani Mahal built in the second half of the 19th century where an archaeological museum exists now is very near to the Jhansi Fort. 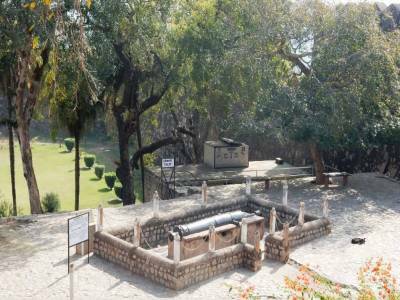 The fort encompasses a massive area of about 15 acres with 312m in length and 225m in breadth. The British have rebuilt the shattered upholder on the eastern side. Every year during the month of January-February a grand occasion takes place where a large number of eminent personalities come and many an artist performs. This occasion is known by the name of Jhansi Mahotsav. 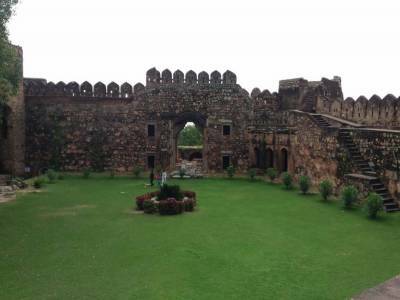 Get quick answers from travelers who visit to Jhansi Fort.